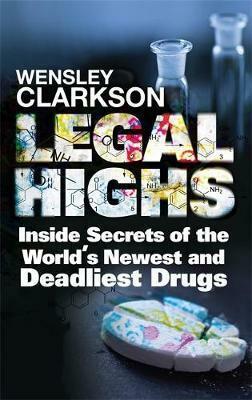 Legal Highs are without doubt the biggest drug scourge to blight the world since recreational drugs first hit the streets more than 100 years ago. Their growing menace opens up a new front in the drug war, shifting the battle line from the Colombian jungles, Moroccan valleys, Afghan hills and the Winnebagos of New Mexico to specially constructed laboratories on the outskirts of Shanghai and other cities across the globe. But who are the shadowy characters behind the extravagant new drugs such as 'bath salts' and 'Miaow Miaow'? The scientists, the rogue boffins, the factory sweat-shop workers, the smugglers, the suppliers, and, ultimately, the dealers who sell tens of millions of packets of these substances every week? Why are so many people from all walks of life now consuming Legal Highs in such large quantities? This book will go inside the lives of all these people to reveal for the first time the true stories behind the emergence of the most deadly narcotics the world has ever seen.